A new thrilling suspense novel from #1 international bestselling author Sara Blaedel, author of THE FORGOTTEN GIRLS"One of the best I've come across." 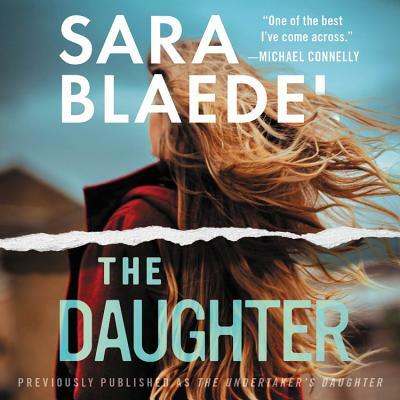 -Michael Connelly"Sara Blaedel is a force to be reckoned with. She's a remarkable crime writer who time and again delivers a solid, engaging story that any reader in the world can enjoy." -Karin Slaughter"One can count on emotional engagement, spine-tingling suspense, and taut storytelling from Sara Blaedel. "-Sandra BrownAlready widowed by the age of forty, Ilka Nichols Jensen, a school portrait photographer, leads a modest, regimented, and uneventful life in Copenhagen. Until unexpected news rocks her quiet existence: Her father--who walked out suddenly and inexplicably on the family more than three decades ago--has died. And he's left her something in his will: his funeral home. In Racine, Wisconsin.Clinging to this last shred of communication from the father she hasn't heard from since childhood, Ilka makes an uncharacteristically rash decision and jumps on a plane to Wisconsin. Desperate for a connection to the parent she never really knew, she plans to visit the funeral home and go through her father's things--hoping for some insight into his new life in America--before preparing the business for a quick sale.But when she stumbles on an unsolved murder, and a killer who seems to still be very much alive, the undertaker's daughter realizes she might be in over her head . . .